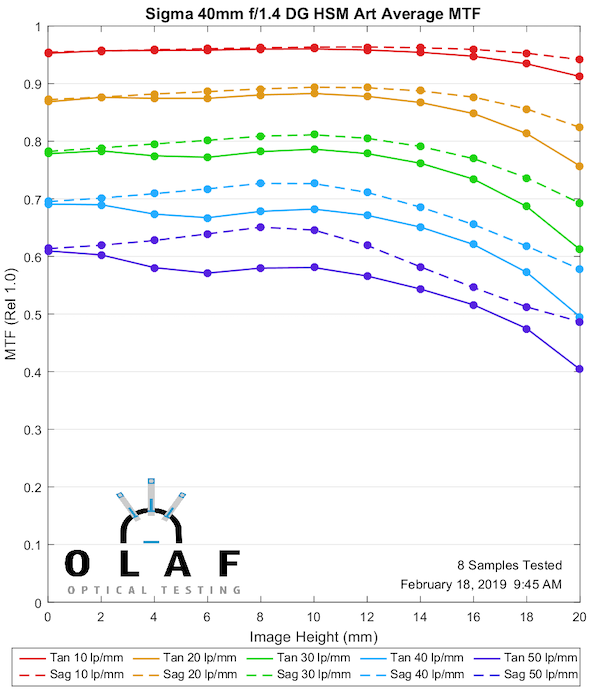 The Sigma Art Prime Lenses have been added to the site's Camera Lens MTF Measurements Comparison Tool. I'll share my favorite chart in this post. The Sigma 40mm f/1.4 DG HSM Art Lens results will get most of us drooling. Feel free to share which Art lens produced your favorite MTF results.